"In those grey and grinding days of the Depression we often found comfort in the old familiar proverbs. We knew that in unity there was strength, that blood was thicker than water, that to err was human, and to forgive, divine. Usually we never examined these truths too closely, but in the autumn of 1934 I discovered, through pain and remorse, just how profoundly true they were." John-Boy is concerned about the new writing class that he has been accepted to. He is intimidated by the other students in the class who are very sophisticated and discriminating. The other students have loftier goals in writing and has chosen very complicated topics. Olivia reads an ad in the paper for a publisher that is accepting submissions for publication. She submits a few of John-Boy's stories hoping that it may pick up his spirits. Jason arrives at Ike's store excited that his new harmonica has arrived. A man by the name of Casper Tice comes in and hears Jason playing and suggests that he try out for Bobby Bigelow's band The Haystack Gang at the dance in 2 weeks at the barn dance in Scottsville. To John-Boy's surprise Olivia hands him the response letter from the publisher she submitted his work to. He opens it and is shocked that they have accepted his short stories for publishing. Jason arrives excited to tell his good news but doesn't get a chance with all the excitement about John-Boy. Jason goes and auditions for Bobby and he accepts him into the band. Back home the contract has arrived from John-Boy's publisher. John is concerned about the details of the publishing contract but Olivia and John-Boy are too excited to read it in detail before signing it and mailing it off. Once again Jason wants to share the news of his good fortune but can't get a word in edgewise. Jason plays at the dance and Bobby offers him $3.50 a night to play with the band whenever they are in the area. John-Boy and Olivia arrive at Ike's and books from the publisher are waiting for him. He signs the first book for Ike. At home though he finds a bill in the box for $50. John-Boy and his parents visit a lawyer who looks over the contract. He states that everything is perfectly legal and that what they had in fact agreed to have John-Boy's stories published by a vanity press. Jason asks his Daddy to borrow the truck again but when he asks why Jason says that he is playing in Bobby Bigelow's band. His parents are shocked by the good news but when they ask him why he didn't say anything. He tells them that he tried but nobody was listening with all the excitement going on about John-Boy. Olivia is embarrassed that she wasn't there for Jason when he needed her but he says that it is okay because she couldn't be in two places at once. She decides that they should all go and hear Jason play at the dance. The family is pleased by Jason's success. Later when John-Boy arrives at his class he is late for a scheduled interview with the "The Roving Reporter". John-Boy tries to stop the interview but it continues and he tells the tale of how he duped himself by the excitement of being published. When he arrives at home the family is listening to the interview on the radio. John-Boy waits until the children go to bed before talking to anyone. Now that the excitement is over John-Boy makes time again to spend proper time with his brothers and sisters. The children fix up an old row boat and are disappointed when John-Boy doesn't have the time to help them with the work. "The scars of that first disappointment were a long time in healing, but they did heal. The best medicine as always was the sympathy and understanding of my family, and a ridiculous little row-boat that went a long way in helping me to forget." Writer Joseph Bonaduce is the father of Danny Bonaduce who would star a few years later in The Partridge Family. 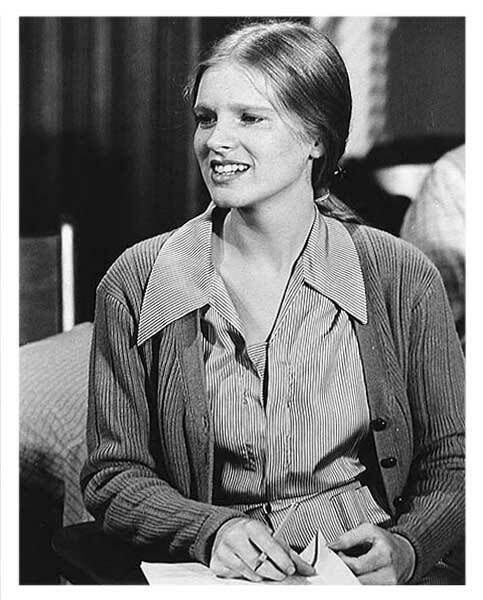 Sally Barstow, a student in John-Boy's writing class at Boatwright is played by Walter Cronkite's daughter Kathy Cronkite.